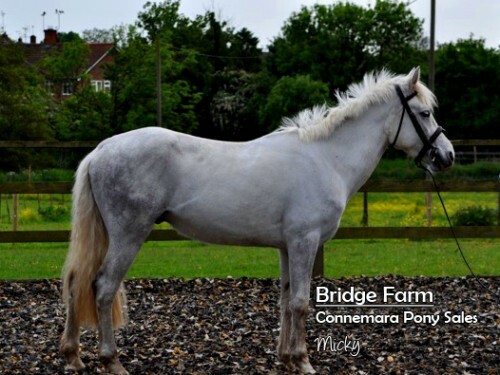 Micky is a lovely friendly fully registered 3 year old Connemara gelding. Recently arrived from Co Mayo in Southern Ireland, Micky has settled in well and seems very happy with his new stable. He loaded and travelled well, and he comes to you when he sees you. Micky wants to be friends. Micky has been turned out with Patsy and has shown no sign of any bad manners. 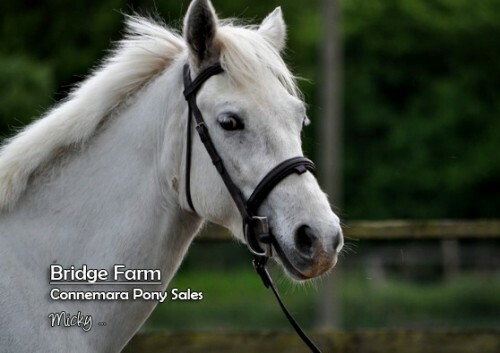 He is happy to let you brush him, and this little Connemara Gelding genuinely enjoys being made a fuss of. He has a very calm nature for a 3 year old Connemara Pony. We have started schooling Micky on the lung and he has been very well behaved. This little Connemara Gelding is now ready to turn away before backing later on in the year. With his lovely temperament Micky should make a super childs pony for the future. If you wish to know more about Micky please call me on 07980 668380 ask for Belinda. 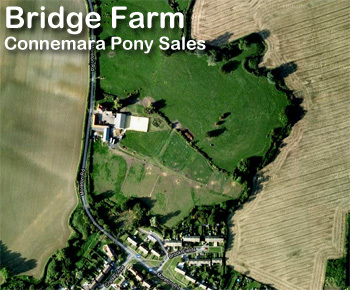 Bridge Farm operates an open house policy, and you are welcome to come along and chat about our Golden Retrievers or view our livery facilities and Connemara ponies. Please, just call to make sure we're around to help you. © 2019 Bridge Farm, Essex. All Rights Reserved.